It’s been a while since our last mockup. Since then thousands of folks have downloaded and used them for projects and presentations. 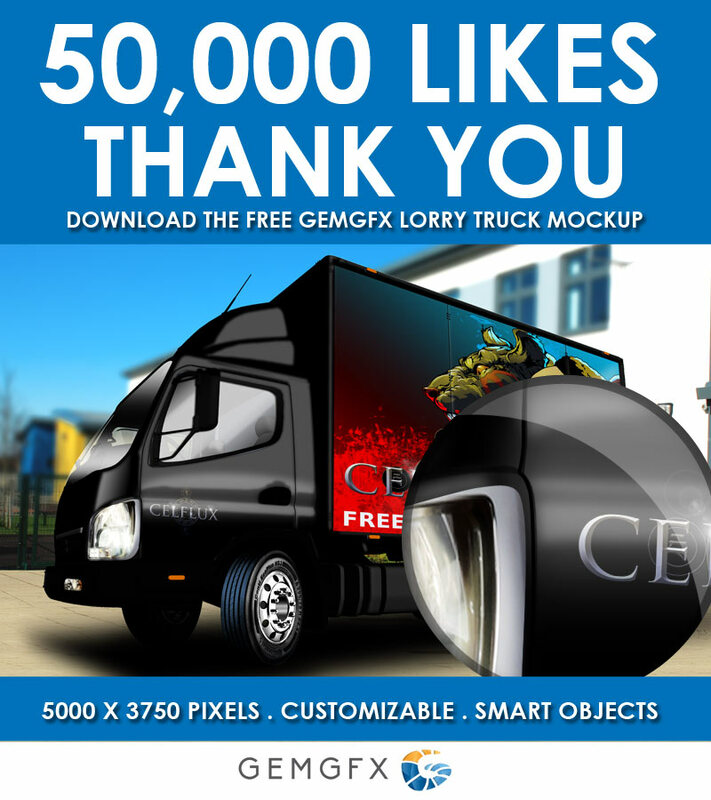 Many have shared and re-shared the mockups while giving credit to us here at GemGfx. To those, we want to say thanks. We also want to say thanks to those who have taken the time to come back to us and let us know that the mockups were helpful and let us know of their appreciation for the free mockups that we’ve made available. We really appreciate those, because when we first started creating these mockups, our intention was to help those who did not have access to a decent mockup for their work. So when someone takes the time to say thanks or spreads the word about GemGfx. We know it’s worthwhile. 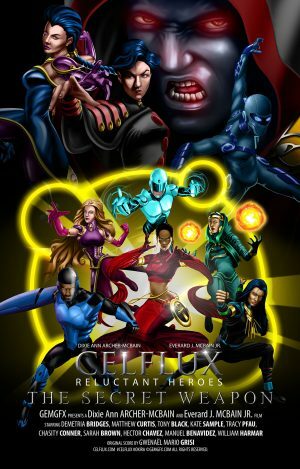 As many of you know we’ve been somewhat busy working on our labor of love, our personal project Celflux. So it’s taken up most of our free time. Recently though my wife brought it to my attention that we skipped across 50,000 Likes on Facebook. We thought that this was an occasion to be celebrated so we decided to release a mockup to commemorate this occasion. We’ve had the Lorry Mockup under construction for some time. It’s different from anything we already have in our portfolio, and we know that folks could always use another vehicle mockup. So we decided to work on and release that one. So here it is. 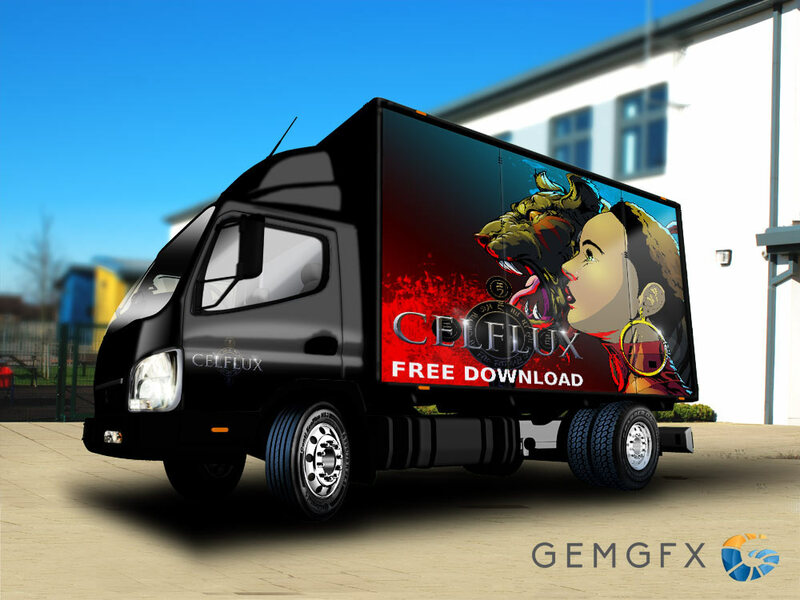 The GemGfx Lorry Truck Mockup. 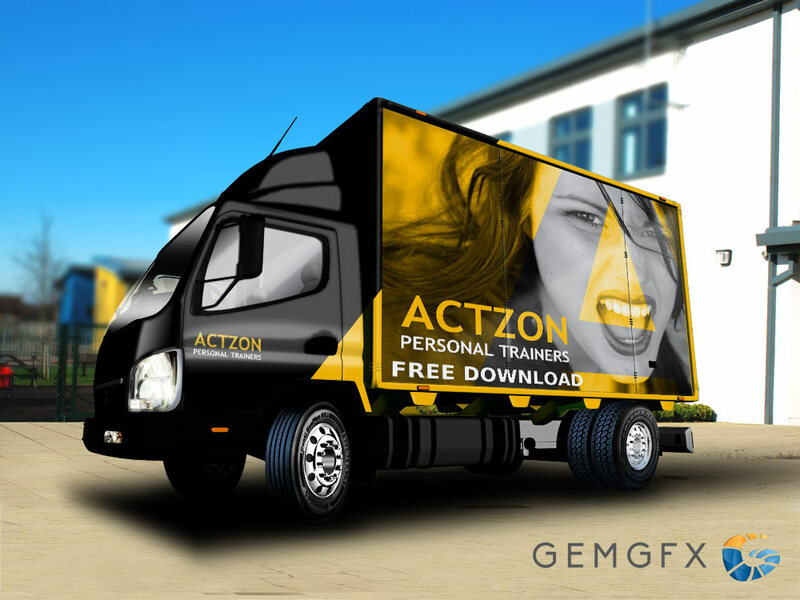 This is an entirely FREE, Hi-Res, PSD, Realistic Customizable Mockup. It is available for both commercial and personal use. Selling of this file or modifying it for selling purposes is strictly prohibited. This includes requesting that people pay to download or pay to download it faster. (This does not apply to the work the file is used to present, but the file itself). 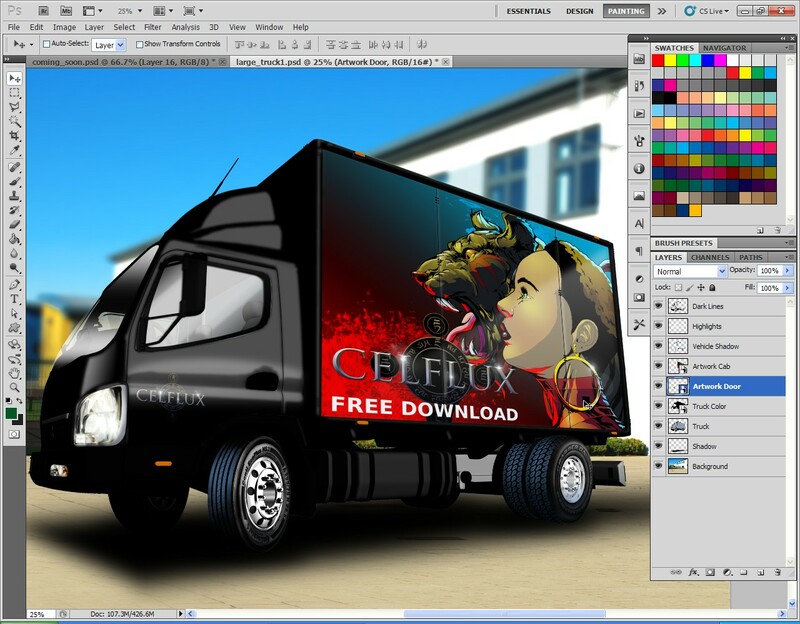 It is a layered PSD file, and the artwork is easily edited via smart objects. 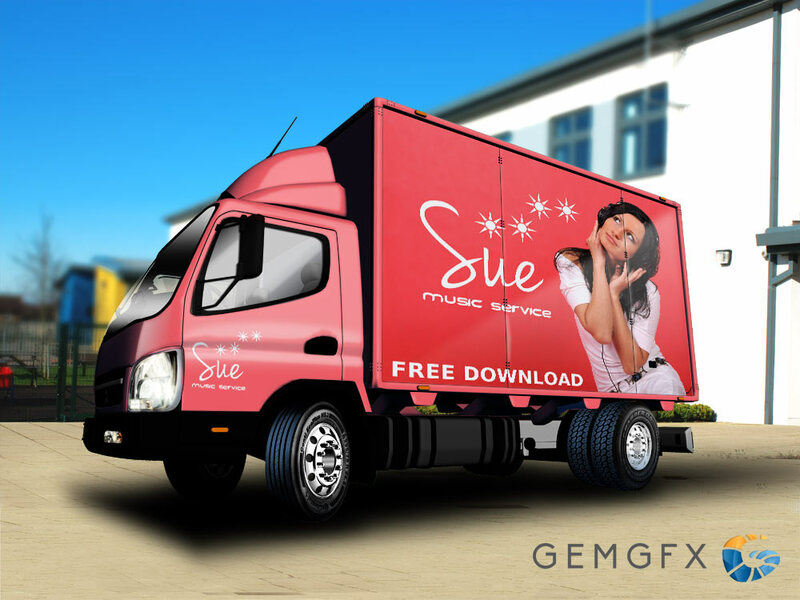 To download the mockup please click the button below. More FREE GIVEAWAYS to come. Share this so all in our design community can benefit. 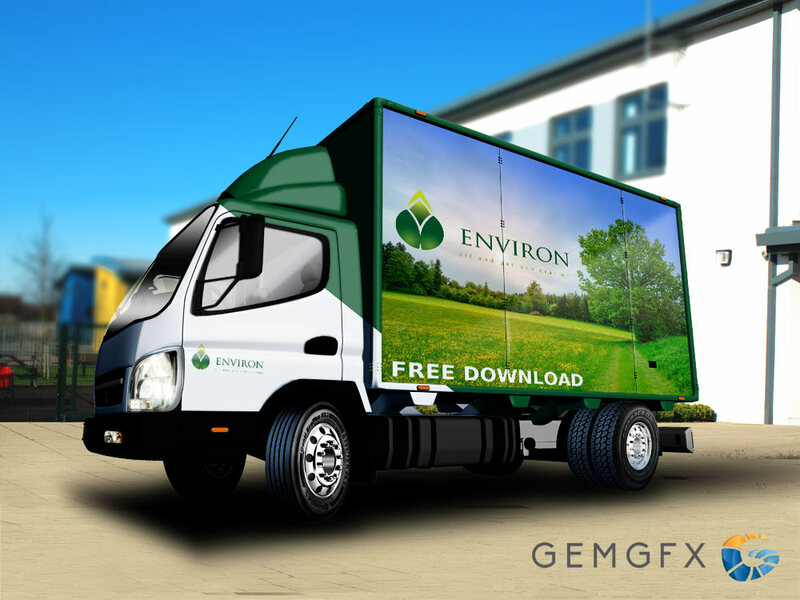 Everard is the Creative Director and CEO of GemGfx. 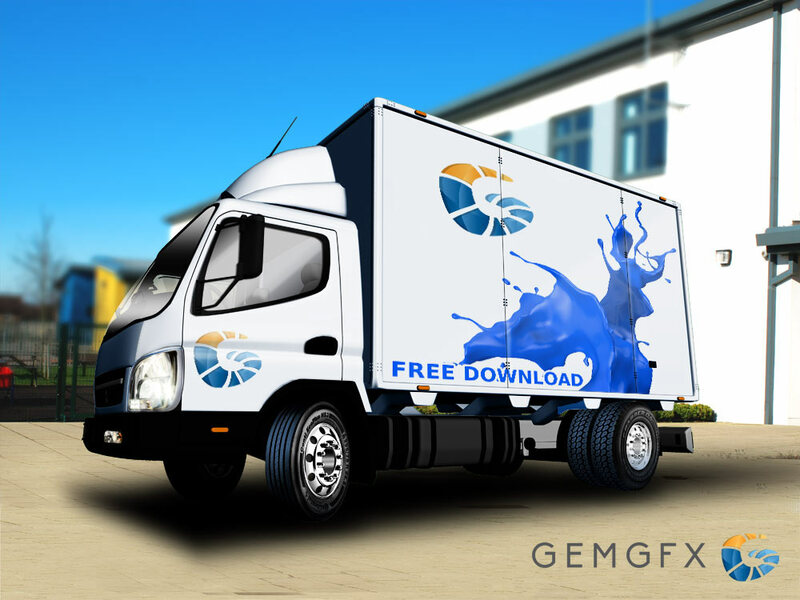 GemGfx is a multidisciplinary design consultancy based in Trinidad and Tobago. He has been involved in the field of Graphic Design for over 14 years. I like this which i am searching. 이 템플렛을 만든 당신의 노고에 깊은 감사를 표합니다.